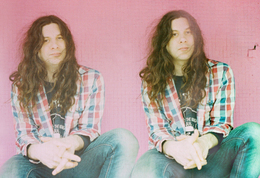 Kurt Vile has earned his rep as a road warrior: hardworking, always touring, striving for the perfect performance. 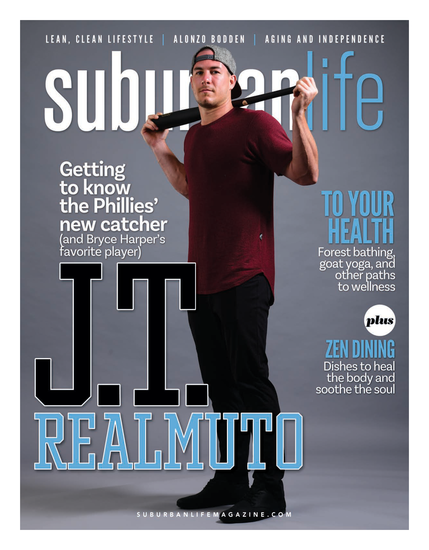 But even when he’s crisscrossing the nation in a tour bus or traveling to points on the other side of the globe, the Philadelphia-based singer-songwriter never seems to let his hometown wander too far from his mind. In fact, he can’t seem to escape it. He recalls a recent gig in Orlando, Fla., where he had what he calls a “pretty trippy” experience. For someone who made his bones by manufacturing an almost psychedelic brand of lo-fi, chilled-out indie rock, that’s saying something. Known for his hypnotic guitar work and soothing, stream-of-consciousness lyrics, Vile is akin to a contemporary balladeer, writing about topics both everyday and profound. Fans at home and abroad routinely pack his shows, and culture critics have heaped praise upon his many albums, including 2018’s Bottle It In, his seventh. Vile’s life has traveled a long, strange, and unexpected road since he burst onto the scene 10 years ago. Back then, in 2008, his indie-rock band The War on Drugs had just released its debut album, and he also dropped his first solo album, Constant Hitmaker. While The War on Drugs has certainly achieved its share of success, Vile’s decision to go solo proved to have been a wise one. He has toured the world, taken the stage at high-profile festivals such as Bonnaroo, Coachella and Lollapalooza, and collaborated with the highly acclaimed Australian singer-songwriter Courtney Barnett. We caught up with Vile while he was on a tour bus with his band, The Violators, en route to Indianapolis as part of an ambitious tour in support of Bottle It In. During the interview, Vile talked about the ups and downs of life on the road, fatherhood, and what happens next. Your songs have a sort of nomadic feel, in that they make me want to be on the road, heading somewhere. Do you have a specific intention when you write a song, or are you just letting go and seeing what happens? When I’m writing a song, I’m thinking about how I’m feeling, and usually it’s a little open. With [the 2013 album] Wakin on a Pretty Daze, it was the opposite of being on the road—just being comfortable at home. I like songs that don’t have to be about one thing; I could be noticing things while I’m sitting on the couch, or traveling or doing something else. It makes me think of a song from Willie Nelson that I love: “Still is Still Moving to Me.” I’m on a bus right now, but the bus could be moving a million miles an hour or it could be stopped somewhere, or I could be relaxing and staying at home or being with my family. We’re always moving. It’s like a not-so-vicious cycle. No matter what we’re doing, the world keeps turning. You’re in the midst of an ambitious tour. How has life as a touring musician changed you, for better or for worse? It’s definitely changed for the better. As intense as touring is, we’re playing music every night. When you’re starting a record, you’re usually working out a lot of kinks, and it definitely takes me a little longer to figure out some things than others. Once you’re rolling along [on a tour], ideally the songs get tighter every night, and you can change the set list to break things up, if you need to. All of us are here because we want to be here. We’re all musicians, but this goes for the people in the crew, too: We all know how to do the job in front of us. We also get to have that release every night. It’s intense but cool; we get paid to play all over the world. Eventually the touring will stop. You’re a family man now. Technology must make it a lot simpler to keep in touch while you’re on tour, but does your family ever join you on the road? You’ve got to have balance when it comes to family; sometimes my family will meet me on the road, and that’s a good thing. My wife is going to meet me in Nashville, at the Ryman [Auditorium], and then they’re going to be with me in Australia, and I’ll stay out there a little longer than everyone else. Your two daughters are old enough to have strong opinions and know what’s going on in the world around them. What do they think of Dad’s job and Dad’s music? My oldest daughter is going to turn 9, so it’s a cool time. They’re both supportive. They like it. They’re musicians and writers in their own way; it’s all they’ve ever known. Your musical influences seem apparent enough: Tom Petty, Neil Young, J Mascis. Did growing up in Philadelphia have an influence on you and your music? It does influence me in ways. I worked at Philadelphia Brewing Company from ’03 to ’09, and some of my earlier records I put out while working at the brewery. … There were a lot of younger bands going on in Philly when I was getting started, and there was this whole subculture of that lo-fi DIY scene going on in the early to mid-2000s. I was also inspired by Philly-area bands like the Dead Milkmen and Ween, out of New Hope. When I was a teenager, I would go to Stalag 13 in West Philly and play my banjo. I saw a lot of punk shows there. So you have tonight’s show. You have the rest of the tour. What happens after that? This is our second time touring in the [United] States for this record. After the U.S. tour, we’re off for three weeks, more or less. Then we’ll go to Australia, and then we have a month off. Then we go to Europe. Once I’m off the road, then I’ll start thinking about my next move. I’m listening to new music whenever I can, and eventually I’ll be recording again. It’s more of the same, really, but it’s what I love to do.